New details on Amazon's rumored Android tablet suggest the online retailer is looking to offer a bundled movie streaming service, possibly for free. Amazon is widely expected to release a branded tablet this year, and the company is now trying to differentiate itself in the increasingly crowded tablet market by tying it to its own content services. An Amazon tablet would complement the company's existing line-up of e-ink Kindle e-readers, and Detwiler Fenton's consumer research team claims (via Barron's) it has some solid scoops over the specifics of the upcoming tablet, some of which we've heard on several occasions. The new color Kindle carries the code-name Hollywood, and is expected to have a 10-inch display, with a powerful processor (possibly quad-core). The color Kindle should arrive in time for the holiday season, with pricing expected in the range of $399, in order to undercut the starting price of the Apple iPad. Amazon is looking to leverage its range of services and apps on the tablet, in order to differentiate itself from competing Android tablets from Motorola and Samsung. Detwiler Fenton suggests one of these services will be movie streaming, the same service Amazon already offers for free to its Prime customers. It's unclear however, whether this service would be free for all, at least for a limited time, but Amazon Prime customers are likely to be able to access it free of charge. Other services Amazon is expected to bake into its tablet are the Amazon Android Appstore, which could be the exclusive way to get app on a (unhacked) color Kindle, a version of the Amazon Cloud Player for music, and, of course, the Kindle Store, for all your e-book reading needs. This way, Amazon would be able to pitch its tablet as a movie-watching, music-listening, e-book reading device, along with any other app and online browsing needs you might have. 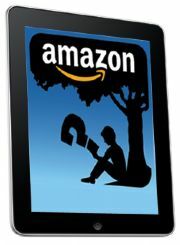 What remains to be seen is what version of the Android operating system Amazon will leverage for the color Kindle. Most Android tablets are now warming up to Honeycomb 3.0, but we don't know whether Google will give Amazon access to the Honeycomb source code, especially as the retailer is said to want to customize Android to an extent it wouldn't be recognizable (as with the Barnes & Noble Nook Color).